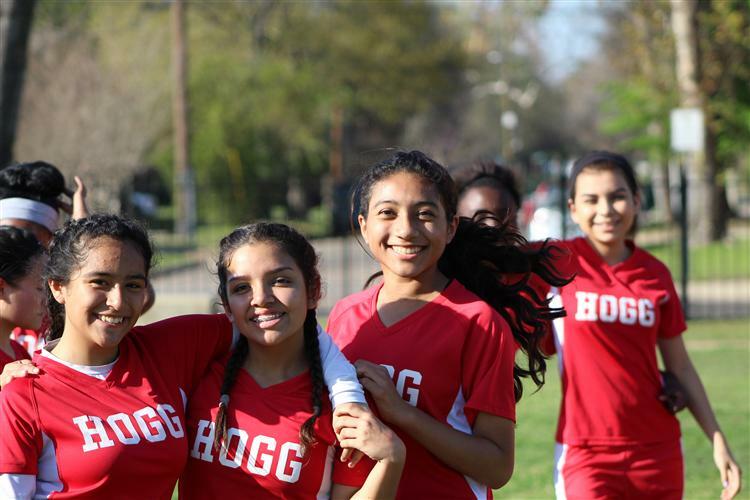 The Hogg Outdoors Initiative is an overarching plan to renovate and beautify the outdoor campus of Hogg Middle School. Our goal is to create an attractive, welcoming, and safe space for our children and their families in which to learn and grow. This plan is just one of many exciting new developments at Hogg M.S. and we invite everyone in the community to take part. 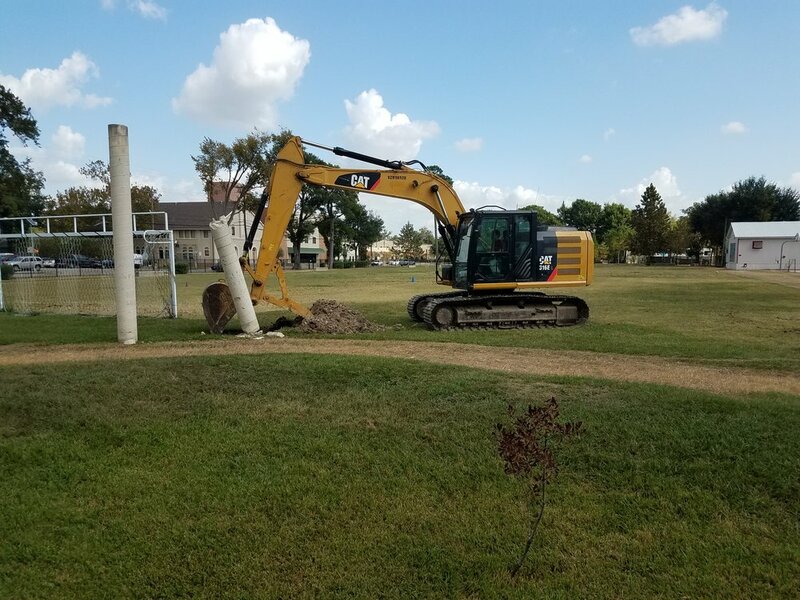 The Hogg Outdoors project is divided into two segments: our Athletics Field Renovation and the installation of our new Hogg Community Garden. Download our donation and information packet. 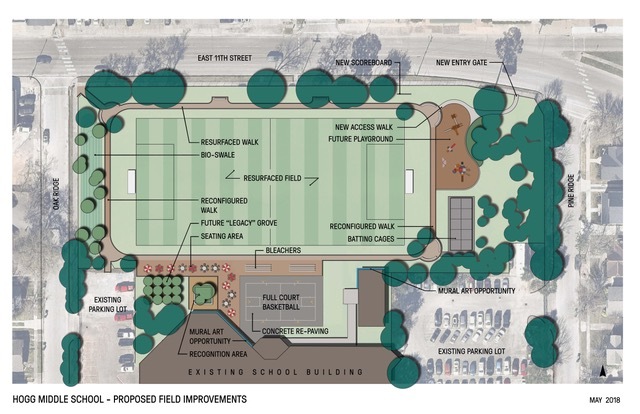 We plan to revitalize the athletics facilities on the northern end of the Hogg M.S. campus for use among all of our outdoor sports teams, including football, soccer, track, and cross country. 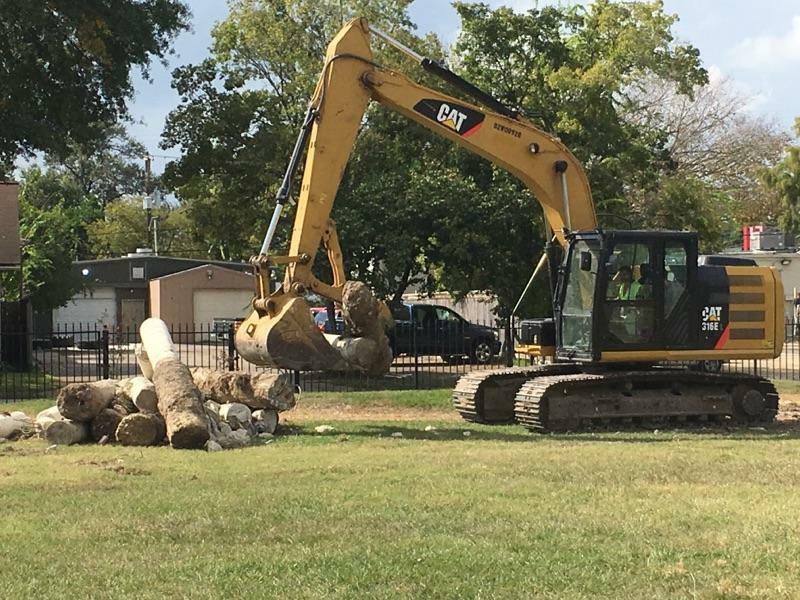 In addition, we hope to create an inviting community space for our Hogg families, as well as members from around the community to enjoy outside school hours. November 2016 - Demolition Begins! The new Hogg Garden will be used by our Culinary Arts Program to provide regular organically-grown produce for our cooking classes. 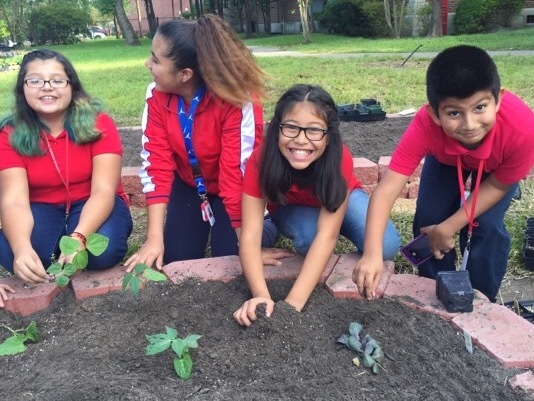 The Garden will be entirely student-driven, giving our Culinary Arts participants a fantastic opportunity to learn about healthy eating and sustainable living. 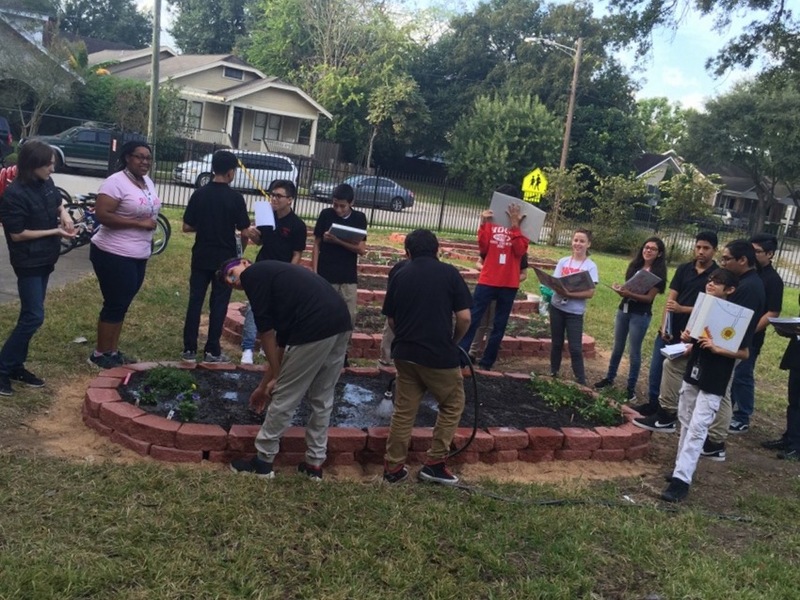 In addition, the garden will provide the Science Department with hands-on exposure to the world of biology and ecology through field experiments and explorations.